ISA to be repeal? (contd.) – welcome! continue the post made on 16 sept.
in that post, i mentioned that yes, the PM said he is going to repeal ISA but… a big BUT… BUT then two new laws will be enacted to replace ISA. that is the frightening part. what will the two new laws be? according to malaysia chronicles, it is swapping one evil with two evils! so, like many of us, malaysia chronicles fear the new laws might be the same as ISA or even worst. yesterday, nazri, then gave us an insight into the two new laws – he said one of the two new laws will focus on terrorism, while the other will regulate race and religious issues. read about it from the malaysian insider. what? 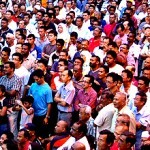 race and religious issues? oh wow! that's the scary part! it was first said that the ISA should be used for terrorism only but it had been abused and used for other purpose like race and religion… and now we heard the ISA will be repeal, we are suppose to be happy but we heard one of the new law will be on regulating race and religious issues – so doesn't it come to the same thing, what the authority had been using ISA for? although nazri assures us that under these two new laws n one can be arrested on the basis of differences in political ideologies and extended detention can only be approve through the court, i'm not convinced at all. why? it is because we are living in 2malaysia! a double standard country, where the fed govt, is heavily practising double standard (and hypocrisy). 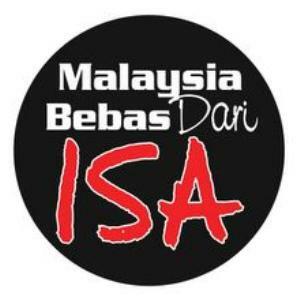 “yes to ISA” – that’s why no police? ?